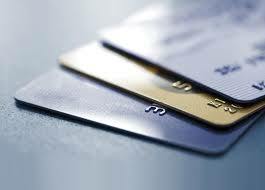 Credit cards have become an important part of salaried employees' life. The more it helps you in time of financial distress, it also comes as a nightmare during dues payment. It would not be wrong to say that, many of us have faced the conundrum of credit cards. at the end of July stood at 40153868. Among these, a total of 804,212 transactions were made using credit cards at ATM amounting to Rs 3,723 million. One thing is clear that customers are using credit cards in heavy amount at ATMs. Why making a cash withdrawal using credit cards is risky, is because of its interest rates and fees levied on performing such transactions. Let's compare SBI vs HDFC Bank vs ICICI Bank charges for credit card usage at ATM. transaction fee is subject to change at the discretion of HDFC Bank. All cash advances also carry a finance charge equal to charges on revolving credit (please refer schedule of charges) from the date of withdrawal until the date of full payment. The finance charge is subject to change at the discretion of HDFC Bank. A transaction fee would be levied on all such withdrawals and would be billed to the Cardholder in the next statement. A transaction fee of 2.5% or Rs. 300 whichever is higher at domestic ATMs and 3% or Rs. 300, whichever is higher at international ATMs will be levied. The transaction fee is subject to change at the discretion of SBI Cards & Payment Services Private Limited (SBICPSL). All cash advances also carry a finance charge equal to charges on revolving credit (please refer schedule of charges) from the date of withdrawal until the date of full payment. A transaction fee of 2.5% (Minimum ` 250 for eBOR and ICICI Bank ATMs, Rs 350 for other ATMs) would be levied on the amount withdrawn and would be billed to the Card member in the next statement. The transaction fee is subject to change at the discretion of "the Bank". All cash advances also carry a finance charge of 2.95% per month (APR 41.75% per annum) from the date of withdrawal until the date of full payment. The finance charge is subject to change at the discretion of "the Bank". Let's understand how will you be trapped in the game of cash advances. Let’s suppose you withdraw cash of Rs 10,000 from an ATM on June 29, 2018, then your bill generation date of this card would on 1st of every month. An immediate transaction fee of Rs 300 would be deducted along with service tax, in this case, let’s take 15% which would be Rs 38. The moment you make a cash withdrawal, an interest rate of 3.40% will be levied which is about Rs 340 on your amount Rs 10,000. If you paid the amount before deadline July 23, 2018, then you only attract an interest rate of Rs 395, transaction charge of Rs 300 and service tax of Rs 38 on your withdrawal amount. This would be about Rs 10,678. Generally, banks preset the withdrawal amount from an ATM using a credit card. Most of the bank cap it between 30% to 40% of the card limit.